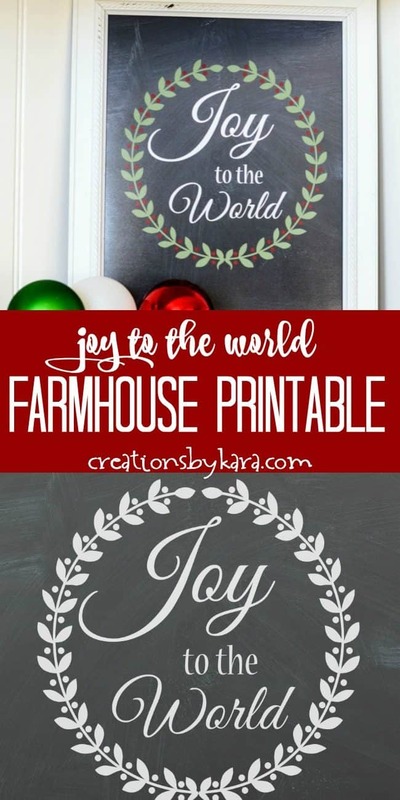 Joy to the World Chalkboard Printable – just download and print out this lovely chalkboard sign for instant Christmas decor! I know that we haven’t celebrated Thanksgiving yet, but it snowed here a few days ago, and it definitely put me in a Christmas mood. 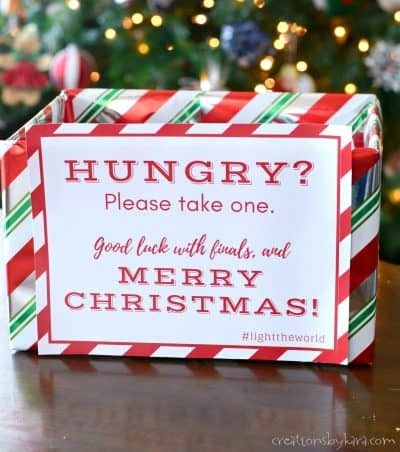 Even my kids are asking when we will be putting up the tree. Since we’re hosting Thanksgiving this year, I’ll be leaving up most of my fall decor. 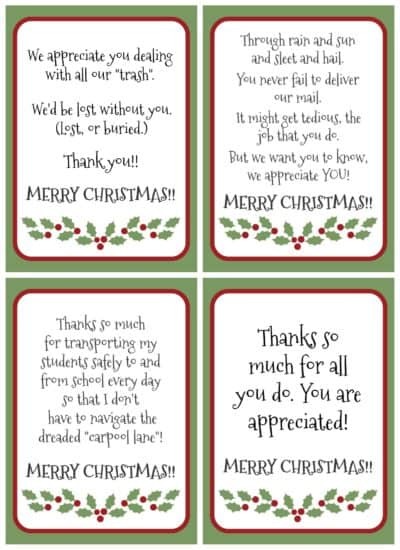 But I am seriously contemplating decorating my mantel for Christmas. I don’t think anyone will complain. 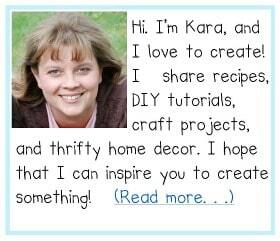 And if they do, I can always threaten to eat their Thanksgiving pie. Haha. 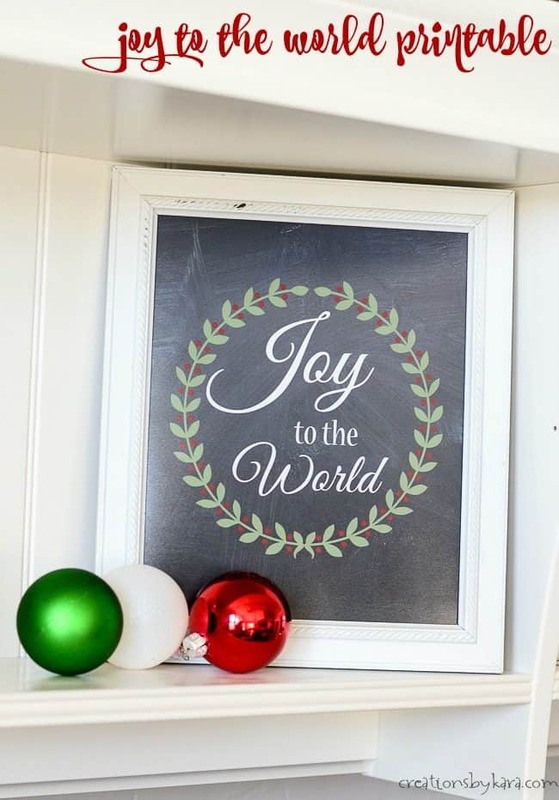 I actually designed this Joy to the World chalkboard printable last Christmas, but it was late in the season, so I didn’t have time to share it. I’ve been trying to have more of our activities and decor center around Christ, and this was a perfect fit. 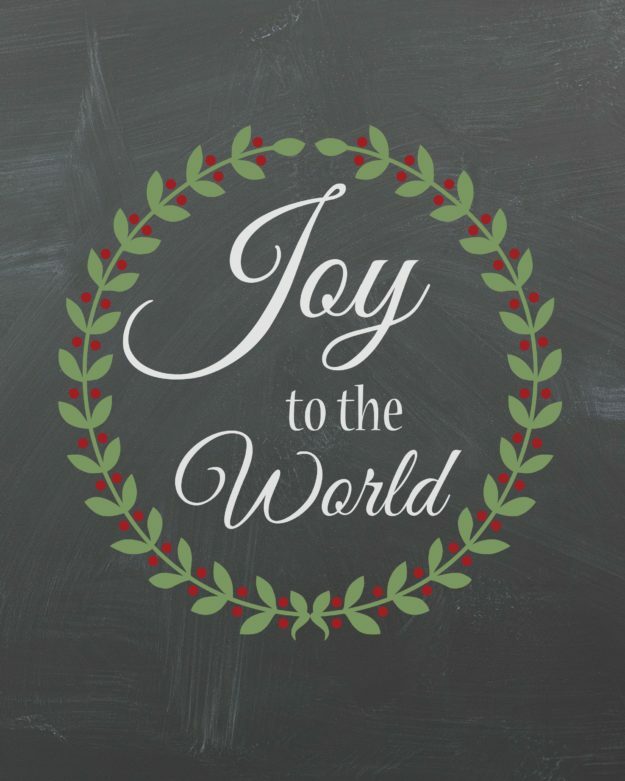 I love the song Joy to the World, and this little printable helps me remember that despite the hardship and trials in the world, there is reason to rejoice. Because of a tiny baby born in Bethlehem, we can all have hope. We can all have joy. I made two versions of the printable. One has a green wreath with red berries. 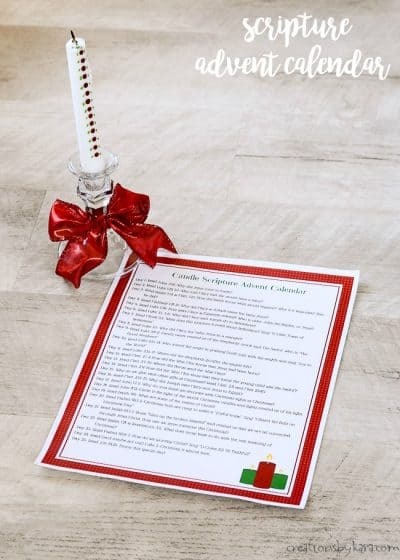 I like a little pop of color, so that’s the one I printed out and placed on my shelf. If you prefer, you can also print out the traditional black and white version. I put mine in a white frame, but I think it would be stunning in a red or green frame. Enjoy!